54 DESIGN007 MAGAZINE I NOVEMBER 2018 The following procedure was followed. A sample of 44 observations (data points) was taken of both internal and external trace tem- peratures for otherwise identical trace and cur- rent situations. 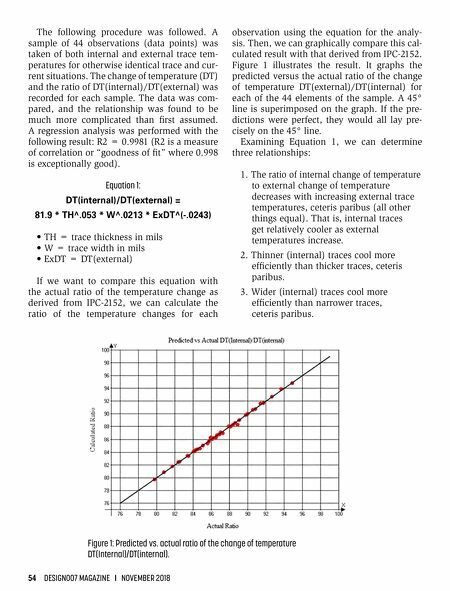 The change of temperature (DT) and the ratio of DT(internal)/DT(external) was recorded for each sample. The data was com- pared, and the relationship was found to be much more complicated than first assumed. A regression analysis was performed with the following result: R2 = 0.9981 (R2 is a measure of correlation or "goodness of fit" where 0.998 is exceptionally good). Equation 1: DT(internal)/DT(external) = 81.9 * TH^.053 * W^.0213 * ExDT^(-.0243) • TH = trace thickness in mils • W = trace width in mils • ExDT = DT(external) If we want to compare this equation with the actual ratio of the temperature change as derived from IPC-2152, we can calculate the ratio of the temperature changes for each observation using the equation for the analy- sis. Then, we can graphically compare this cal- culated result with that derived from IPC-2152. Figure 1 illustrates the result. It graphs the predicted versus the actual ratio of the change of temperature DT(external)/DT(internal) for each of the 44 elements of the sample. A 45° line is superimposed on the graph. If the pre- dictions were perfect, they would all lay pre- cisely on the 45° line. Examining Equation 1, we can determine three relationships: 1. The ratio of internal change of temperature to external change of temperature decreases with increasing external trace temperatures, ceteris paribus (all other things equal). That is, internal traces get relatively cooler as external temperatures increase. 2. Thinner (internal) traces cool more efficiently than thicker traces, ceteris paribus. 3. Wider (internal) traces cool more efficiently than narrower traces, ceteris paribus. 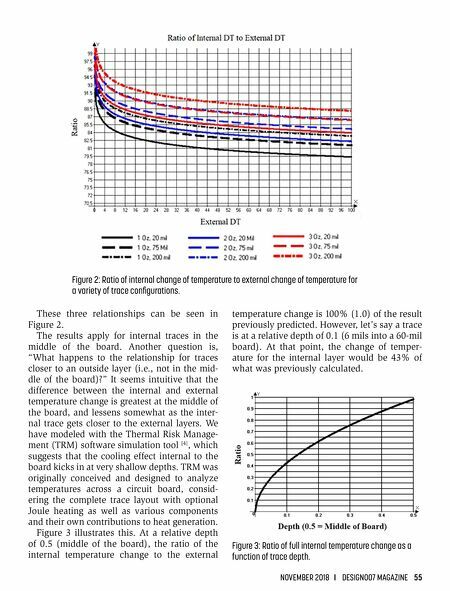 Figure 1: Predicted vs. actual ratio of the change of temperature DT(Internal)/DT(internal).